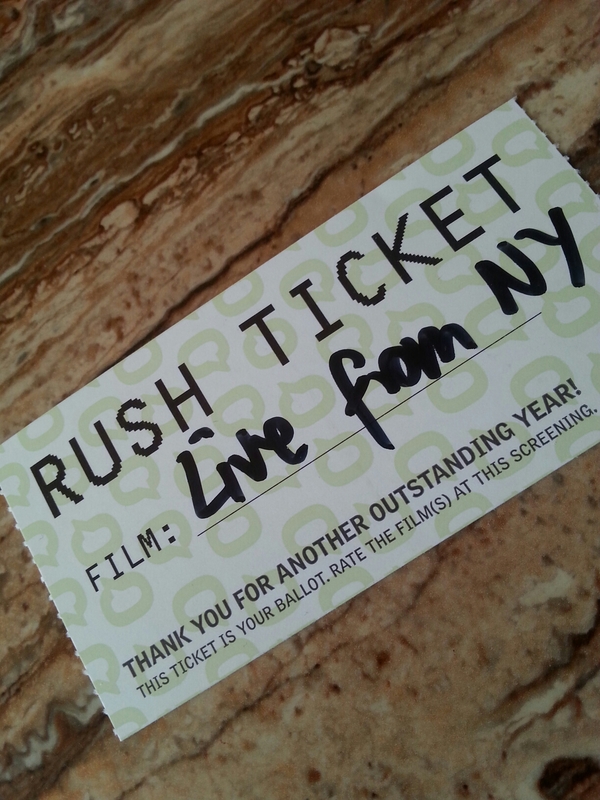 A review of the documentary: Live from New York! Making its Canadian premiere at Toronto’s 2015 Hot Docs festival, Live from New York! proves laughter really is the best medicine in the face of fear, angst and even confusion. 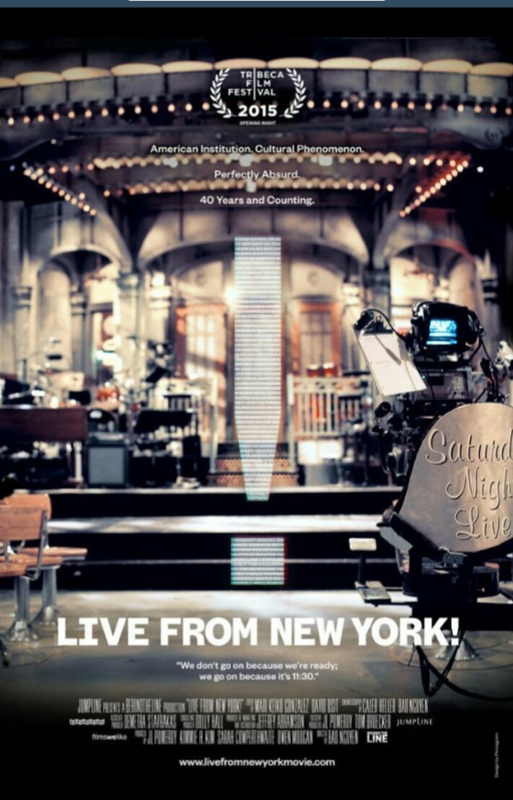 ‘Live from New York its Saturday night’ is one of the most famous and recognisable phrases in the pop culture lexicon. For 40 years Saturday Night Live has allowed Americans, and the rest of the world to laugh at themselves. Like that old saying, ‘a little laughter goes a long way’ and it can evidently stand the test of time too. I pride myself as a self proclaimed SNL aficionado, a trait passed down from my mother through a funny bone I think. Some of my fondest memories of my mom include staying up late on Saturdays eating chips and dip while laughing at Toonces the driving cat, Wayne and Garth or Jack Handy’s Deep Thoughts. I even own the Trivial Pursuit SNL edition, although after my mom passed I have never found anyone well versed enough to play with. Now with over 25 years of SNL experience under my belt I was a little skeptical that the new documentary Live from New York! would offer me any new insight into a show I know so well and watch so devoutly, it is almost sacred. 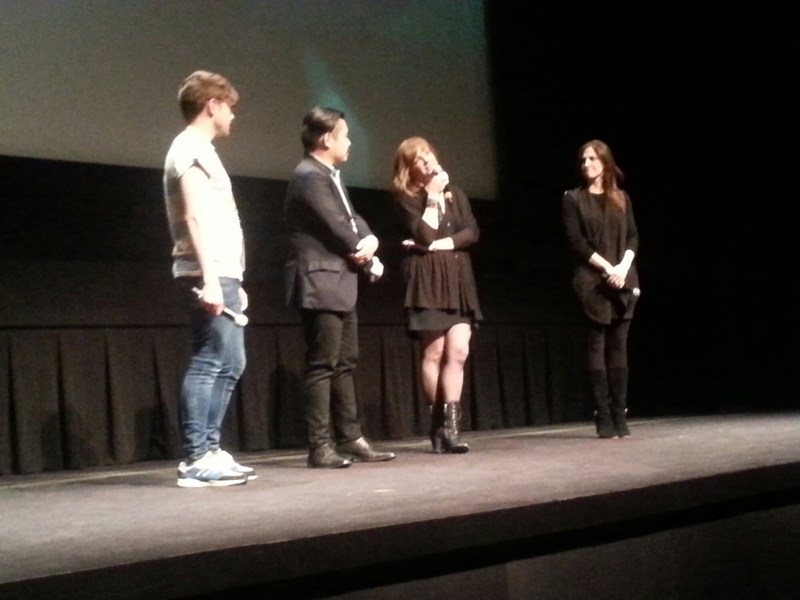 From left to right: Hot docs volunteer, Director Bao Nguyen, and producers, JL Pomeroy, Sarah Cowperthwaite discuss the documentary Live from New York! after a viewing. Nguyen’s favourite SNL sketch is Gap Girls, Pomeroy doesn’t have one and Cowperthwaite likes Kristin Wigs Tiny Hands character. Although there were no great epiphanies in the documentary (that would be difficult for a show that has been running for so long, hence my skepticism) what I was able to glean from my viewing was the deep resonance that SNL evokes in so many. The major theme which is easy to spot -even easier when the director and producers point it out at a Q and A afterward- is one of cultural relevance. How does SNL remain culturally relevant? Despite that same question being asked in a plethora of ways over the four decades SNL has been on the air, this documentary was able to highlight the importance of the YouTube generation being able to watch SNL on their own terms. Andy Samberg, a SNL veteran said “[the show] is great for YouTube because it is essentially lots of little clips.” The ability to morph with the digital landscape is crucial for any landmark network program and SNL has been able to adapt with that shift and may actually have benefited like never before. How many times have you watched an SNL sketch on Facebook or Twitter well after Saturday night? Live from New York! touches on some of the broader issues that SNL has grappled with over the years; like lack of diversity, sparse female characters and political backlash, but seems to shy away from the micro issues of egos and rivalries. As the official 40th anniversary documentary Live from New York! is true to form and focuses more of a celebratory lens on the ground breaking show than an investigative microscope. It is a year of milestones for SNL, not only is it the 40th anniversary, there are now five black cast members, the most diverse cast the show has ever had. In one of the most poignant moments of the film original cast member Garett Morris recounts the deep loneliness he felt and the difficulties he had in getting writers to write material for him, the lone black man. This heart-wrenching moment is countered by new cast mate Leslie Jones, recalling her greatest SNL achievement to date and the backlash she received from the black community. Jones one of the few black women to ever receive cast member status was quick to point out that despite the controversy around her Weekend Update editorial it was really a celebratory moment for black women who are rarely ever seen seated behind the iconic desk. Live from New York! briefly touches on the delicacy of trying to authentically deal with racial issues, but never seems to pierce more than the superficial skin of the issue. TMZ reports on the online response Leslie Jones’ editorial comments on SNL’s Weekend Update received. Like the legendary show it offers a glimpse in to, Live from New York! is (only) a succinct 90 minutes. However, it beautifully captures the chaotic whirlwind a first time host or new addition must feel becoming a part of this quick moving magic machine. This is most evident when we are whisked around behind the scenes to meet set builders, costume designers, booth operators, and the woman responsible for those distinctively whimsical photographs of the hosts that are displayed going to, and coming from commercial. Live from New York! is an all encompassing experience that briefly recounts the history of this New York institution. But more successfully evidences the cultural relevance and importance of a satirical comedy show that skillfully pokes fun at those who take themselves too seriously, while simultaneously expressing the absurdity of society. This entry was posted in Arts, Documentary, Media, opinion, Toronto, Uncategorized and tagged Bao Nguyen, Documentary, Georgia Williams, Hot Docs, JL Pomeroy, Live From New York, Saturday Night Live, Toronto. Bookmark the permalink.